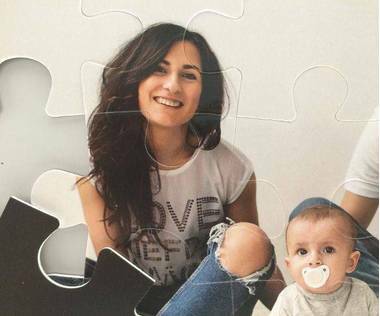 Turn your photo in to a 15 piece magnetic jigsaw! 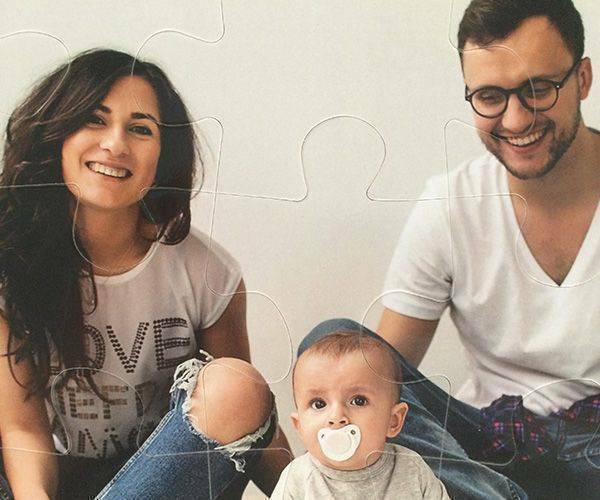 You can upload your photo, add text message to it to create beautiful magnetic photo jigsaw. Our magnetic jigsaws will hold to any metallic surface. 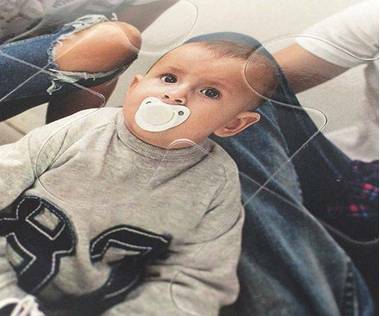 This is a great way to showcase your most important photos in a unique way! Magnetic items are used a lot in schools and children love to explore the way in which they move. The same will be said about magnetic jigsaws. They will understand the way they work and will have hours of fun once they are given one as a gift. A 15 piece magnetic picture jigsaw will be ideal for them to practice with as it will not make the puzzle too hard to make up, but will stretch their minds a little further and allow them to explore the way the pieces fit together. 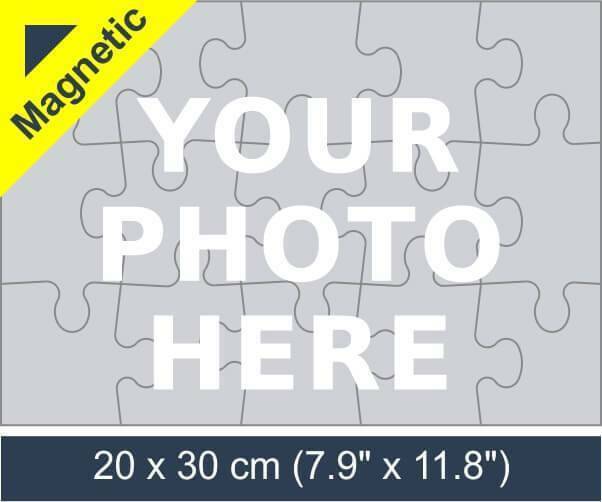 You decide what is on the face of the 15 piece magnetic puzzle and getting the picture on the website is easy. 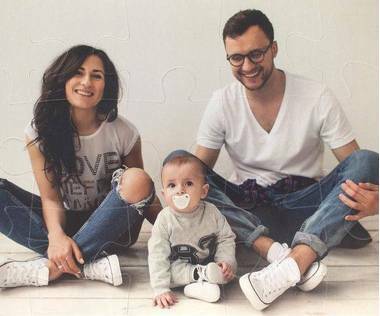 As long as it has a minimum resolution of 1600 x 2400 px it will be clear enough to allow any child to see what is there and understand how they can put it together. 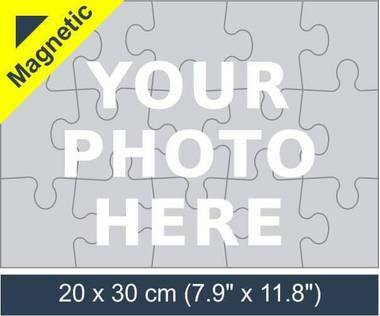 When 15 piece magnetic jigsaw puzzle has been completed it measures 8.1” x 12.1” and this will be the perfect size to fit on a fridge. Each piece is also a good size as it is understood that there will still be little hands using them. They are roughly 6 cm x 6.5 cm and at 2 mm thick, easy to place and remove. This is going to be a gift that all children will adore and there does not have to be a special event for it to be purchased. That said, it will be gratefully received for a birthday, Christmas or just for having been a good child and deserving of a treat. As well as appearing on the pieces, there will be a copy of the picture on the box. 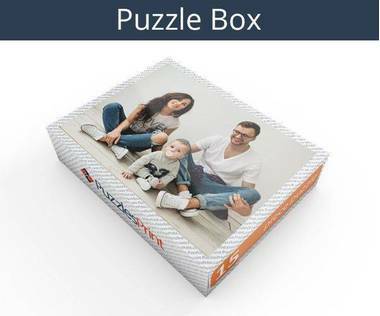 This will make it easy to assemble the pieces and is a great way for children to understand how jigsaws work and how the shapes need to be fitted together. It will be a product that is used again and again and as the picture is personal, there is no reason why more than one cannot be purchased. Apart from around Christmas, order to delivery should only take a few days, so at Christmas extra time should be given.